In the dead of winter, a pair of fluffy, warm boots makes a world of difference when you’re braving the elements. Can you imagine what it would feel like to step outside without a warm pair of shoes to protect you from the cold? Though a tile bathroom floor isn’t nearly as frigid as the ground on a winter’s day, it’s still a cold shock to the body when you’re coming from a steamy, hot shower. That’s why so many people choose to install radiant heating under their bathroom floors. 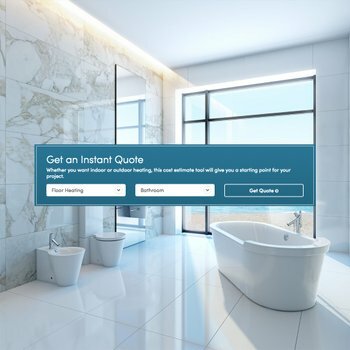 In fact, the majority of WarmlyYours Radiant Heating customers (56 percent) installed heated floors in a bathroom so far this year, according to the company’s second-quarter report. Here are some of the primary reasons why underfloor heat is such a great complement to bathroom tile or stone. Radiant heat works differently than forced-air heating. Instead of heating the air in a room, it heats the people and objects in the room. That means when you step out of the shower, you won’t be greeted with a breeze of warmed air swirling around the room. Instead, you’ll feel the warmth radiate upward through your feet. This kind of warmth immediately makes the body feel warm because it works via touch. 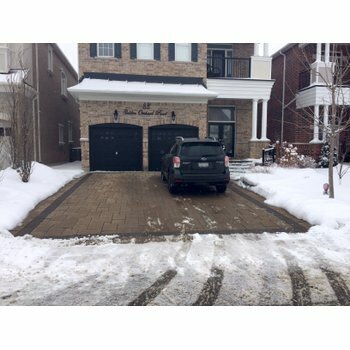 Plus, an in-floor heating system ensures that the room won’t have any cold spots because the entire floor and everything around it will be warm. 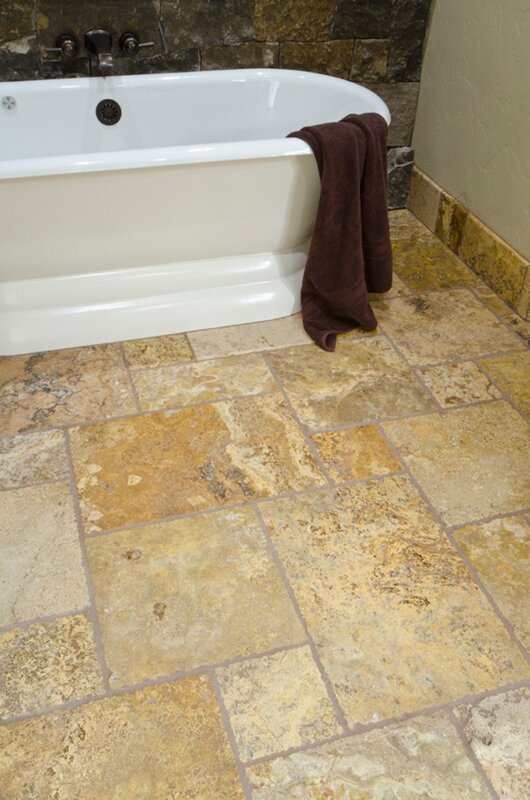 Tile and stone are inevitably cold flooring materials. That’s because they’re great heat conductors, which means they’re great at stealing heat from other sources. So when you step foot onto a cold tile floor, it feels especially cold because it’s taking the heat from your foot! By heating the tile itself, this problem is eliminated. Like any programmable thermostat, a SmartStat™floor-heating thermostat allows homeowners to set a schedule for their heating system to follow. That means you can schedule your in-floor heating system to kick on an hour before you plan to be in the bathroom so that it’s warm and ready to go when you are. What’s more convenient than that? There’s no better way to start off the day. Finally, if you choose to use a ProdesoMembrane to install your TempZone™ Cable, you have the ability to waterproof the system. This is an ideal option for a bathroom because bathrooms are particularly susceptible to mold and mildew. 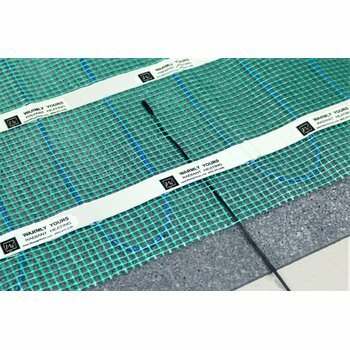 By outfitting a Prodeso Membrane with a couple of accessories, you can make sure that the membrane is waterproof and your heating system stays safe and operable. WarmlyYours offers radiant floor heating in five different formats: Custom Mats, Flex Rolls, Easy Mats, Cable and Shower Mats. To select the right in-floor heating system for your bathroom, visit www.warmlyyours.com.